There are literally endless things to do in Mexico City. New museums, galleries, festivals and events crop up every weekend it’s hard to keep up with it all. So I thought I would help. 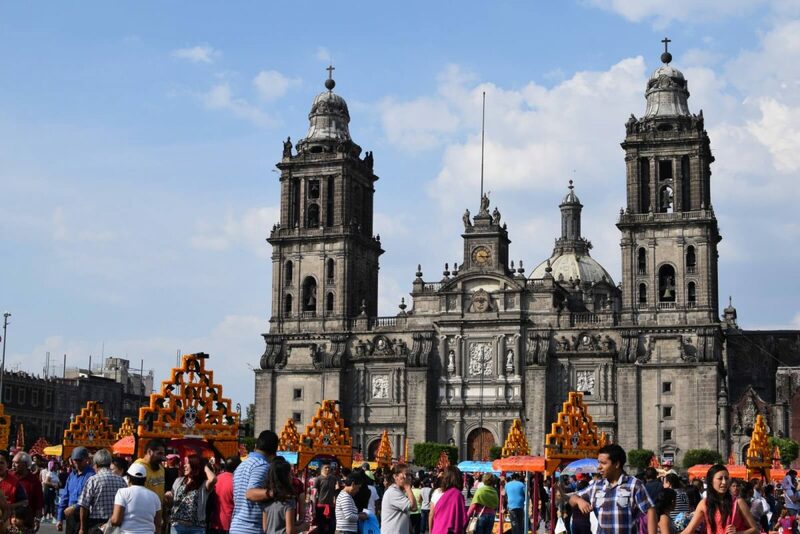 This post is a huge collection not only of all of the things to do in Mexico City that you can enjoy all year round, but plenty of websites to keep you up to date with what there is to do in the city when you arrive. The cathedral is the focal point of the city. You may have seen it in the last bond film, Spectre, but it’s even better up close. 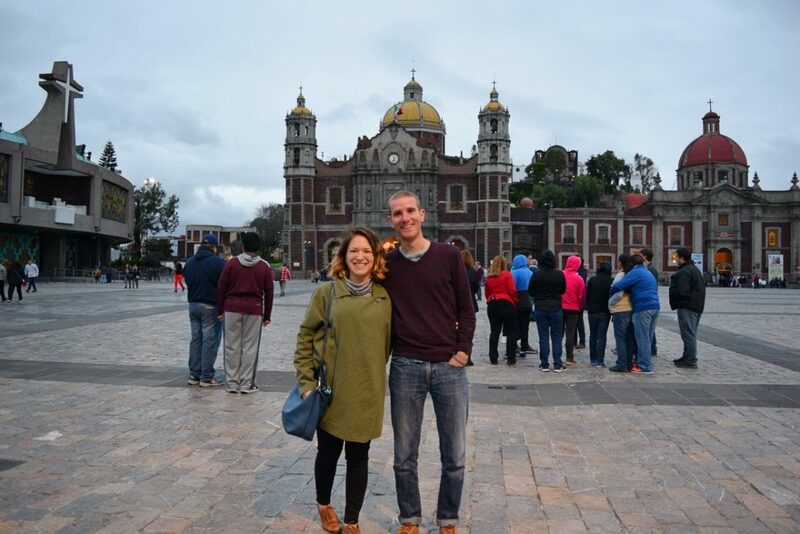 Head to the main square, called the Zocalo and enjoy the view from the outside. While the outside is stunning enough (look at some of the incredible carvings above the doors), it’s even better inside. It’s full of dark paintings, several ornate chapels, and a very large gold altar. This is one of my favorite places to escape from the hecticness of the city. 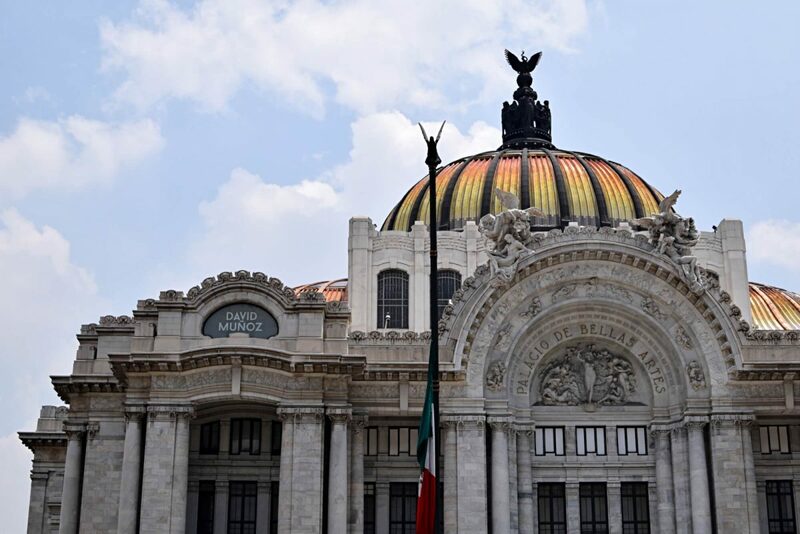 The national palace has been a place of executive power since the Aztecs occupied the same ground. The current palace is actually made with some of the same stone as when it was home to Moctezuma II. The interior of the palace is full of cute little wandering kitties and plenty of gardens to relax in. The main attraction is the Diego Rivera murals. They are absolutely incredible. Entry is free, but you need to bring an ID. If you don’t have a Mexico issued ID, you need to have a passport. The palace of fine arts is my absolute favorite building in the entire city. The architecture is beautiful and the colorful roof always catches my eye. The interior is super art-deco and funky and it’s free to walk around the foyer or go to the restaurant inside. You can head up to the Fine Arts Museum or you can grab tickets to whatever show is going on here during the week that you’re there. I really recommend trying to get to a Folkloric Ballet performance if you can. You can get tickets for as little as 300 pesos ($15). The Latino Americana building is the UGLIEST building in the city. It’s old and it looks like some of the windows are made of cardboard. BUT, it has one of the best views in the city. For 100 pesos ($5), you can go to the top and hang out on the top floor and take in the 360 reviews. You can also head to the 41st floor to the Miralto bar and restaurant. You usually have to make a reservation for the restaurant, but if you just want to pop up for a drink head straight to the bar to take in the view from there. An incredible Aztec ruins site right in the center of the city. Head behind the cathedral to the right and you’ll see the ticket area on the right side of the street. It’s only 70 pesos to go inside ($3.50) and it includes entrance to one of the best museums in the city. If you don’t want to go in, you can walk around the entrance to the left and view the ruins from above without having to pay an entrance fee. The museum closes promptly at 4:30, so give yourself enough time to explore the area. This park is HUGE. Apparently, it’s the largest park in the western hemisphere. The main part of the park is where you’ll find the castle and the zoo, but I highly recommend checking out the other side of the park. There is a great running track, a lake where you can paddle boat and plenty of benches to sit on and watch all the dogs swim. Both sides of the park have lakes and both allow you to rent paddle boats and row boats. It starts at 50 pesos an hour ($2.50). It’s the perfect thing to do on a sunny day. On the top of the hill in Chapultepec is Chapultepec Castle. It’s a beautiful view of the city, the gardens are amazing, and it’s the only castle in all of North America that has ever had actual royalty live in it. It’s also home to the National History Museum. They have set up a lot of the rooms to replicate what it looked like when Emperor Maximillian I and his wife Empress Carlota lived there back in 1864. Entrance is 70 pesos ($3.50) and the gardens up there are such a great place to relax. If you want to know more about Mexican history, look no further than the National Museum of Anthropology. This place is enormous, so give yourself plenty of time to explore it. 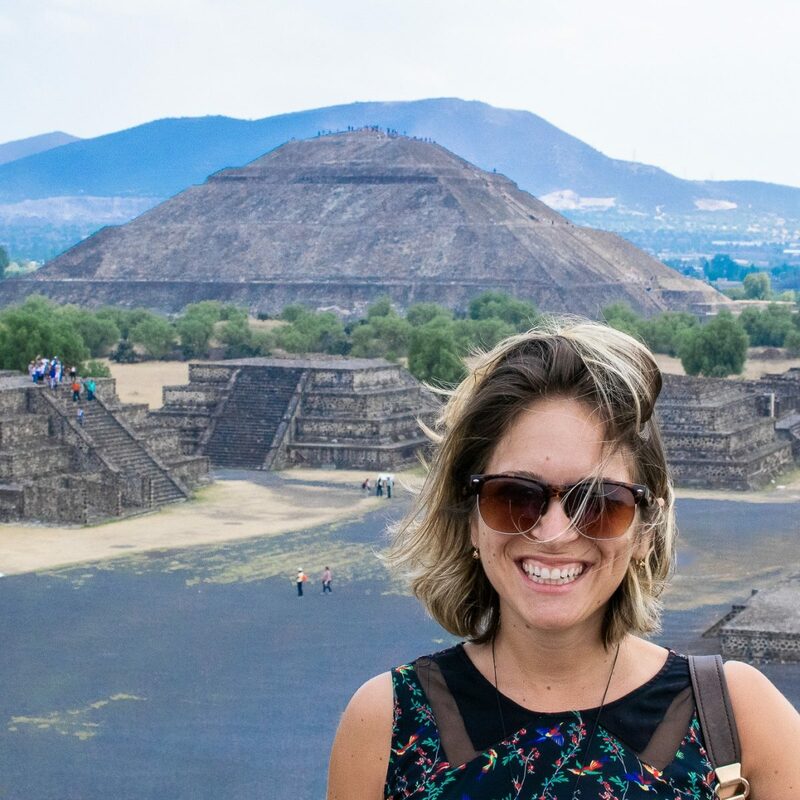 You’ll find loads of artifacts from the Aztecs and Mayan cultures as well as interesting stuff about the country’s geography and other native cultures. 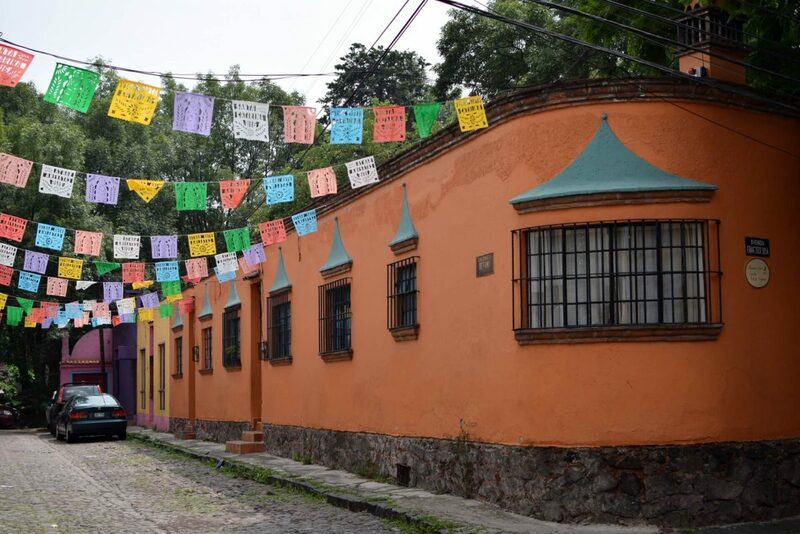 Okay, this isn’t exactly in the center of Mexico City, but it is DEFINITELY something you should do if you are planning on spending a couple of days in Mexico City. Take a tour or go it yourself, either way, get there and explore these incredible pyramids. Besides being home to the third largest pyramid in the world, it is also one of the oldest civilizations in the world. The Mesoamerican culture was there long before the Aztecs came along (the Aztecs actually used this area once the original people were no longer around). 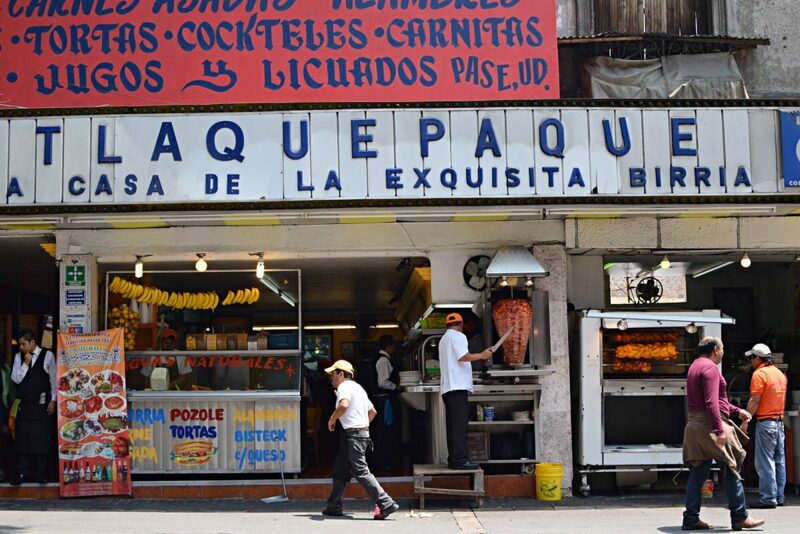 If you want to be brave or just want to try something totally different, head to Coyoacan or San Juan Market and try some chapulines. Chapulines are little crickets that have been fried and tossed in different spices. You can have them spicy, sweet, salty or saucy. Choose your poison. This gallery is actually Carlos Slim’s private art collection. If you’re not sure who Carlos Slim is, he is the richest man in Mexico and one of the richest men in the world. He owns most of the telecommunications lines in Mexico as well as a famous chain department store called Sanborns. This collection is vast and ever growing. There are pieces from Mexican artists, European sculptures and painters, and some seriously fascinating Asian art. The best part is that it’s totally free to visit. This little park isn’t much, but it’s one of my favorite places to go for a wander and to just sit and people watch. It’s right in the heart of the Condesa neighborhood and if you go here during the day in the middle of the week you’ll spot one of the most fascinating things I’ve seen in this city. Dog walkers take their pack of canines here and they sit them down. In a row. All of them. Then they all just hang out and chat. The dogs are hilarious. There are SO many amazing bars in Mexico City. 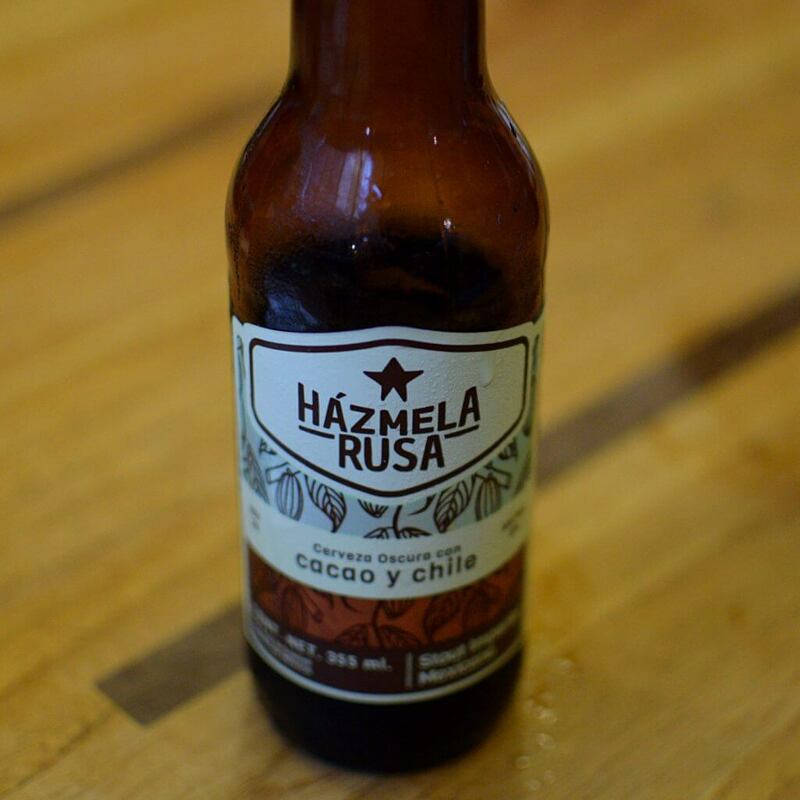 Check out this post about my favorite craft beer bars here and this article about my favorite rooftop bars in Mexico City here. I also write a post about the amazing nightlife here. Whatever you prefer, be sure to head out and enjoy a few tipples in this colorful city. Mexican food is so amazing. It’s rich, it’s bold, it’s spicy, it’s flavorful, the textures are varied and it’s so freaking cheap. Try the street food. Eat a pambazo, try all of the tacos you see and smell, even sample some of those scary looking salsas. Just be warned, they are even spicier than you think they’ll be. Get a full lowdown on the best street food and where to eat it here. Pujol is world renowned. It’s one of the top five restaurants in the world. The head chef, Enrique Olivera has turned Mexican classics into fine-dining delicacies. He does a seven-course degustation and a mole that will change your life. You can dine here for $80 per person. If you want to enjoy a fine dining experience – the whole white tablecloths and amazing Mexican food, but $80 seems a bit steep, head west of the city to Nico’s. This place is absurdly good. It consistently makes the top 50 list for restaurants in Latin America. Their service is incredible and the food is some of the best I’ve ever eaten. For Luke and I to each have a beer, share an appetizer, and have a course main each, we paid $40 including tip. This isn’t a huge museum and I recommend checking it out on a Sunday when it’s free. The sculpture park is one of my favorite parts, but the beautiful paintings on the second floor are awesome, too. There are SO many markets in Mexico City. It can start to seem like there is literally one on every corner, but they’re all slightly different and unique in their own ways. Merced is all about the goodies for your kitchen (or restaurant). 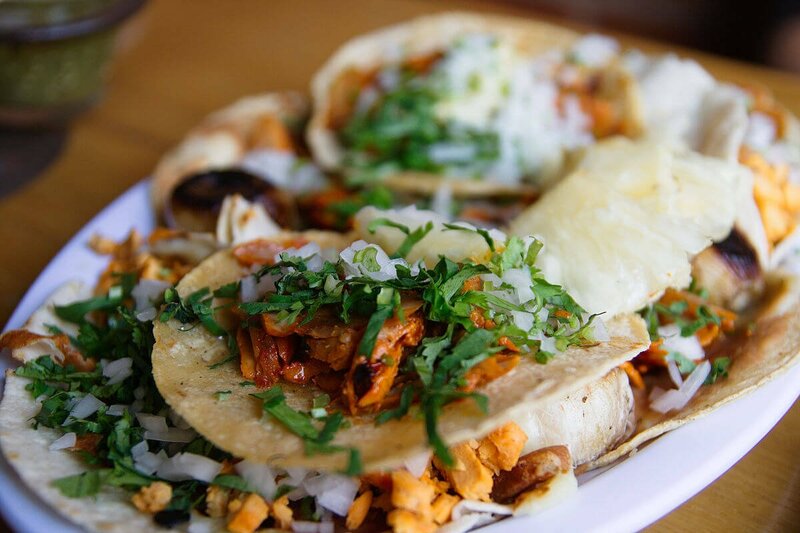 Coayacan is home to the best tostadas in the city. La Lagunilla is for finding those antique gems. They all have huge fresh fruit and vegetable sections. Some have butchers, coffee shops, juice stands, and tacos. 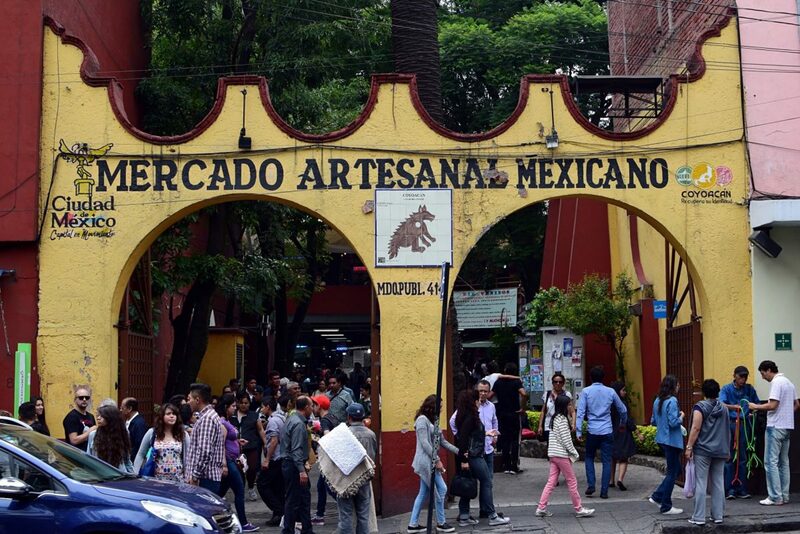 Be sure to stop in and sample all of the unique flavors of Mexico City’s markets. I only recently discovered what an absolutely incredible woman Frida Kahlo was. This museum is where she was born, where she lived much of her live, and where she eventually died. I learned so much about her life and saw so much of her beautiful art and incredible fashion at this museum. I highly recommend booking your tickets online before you go so that you don’t have to wait in line (there’s ALWAYS a line). Did you know that Trotsky sought refuge in Mexico City when he was exiled him from Russia? I didn’t. With the help of Diego Rivera and Frida Kahlo, Mexico gave Trotsky a visa and he lived for several years in a little house in Coyoacan. You can visit it and learn a little bit more about him and his time here in Mexico. 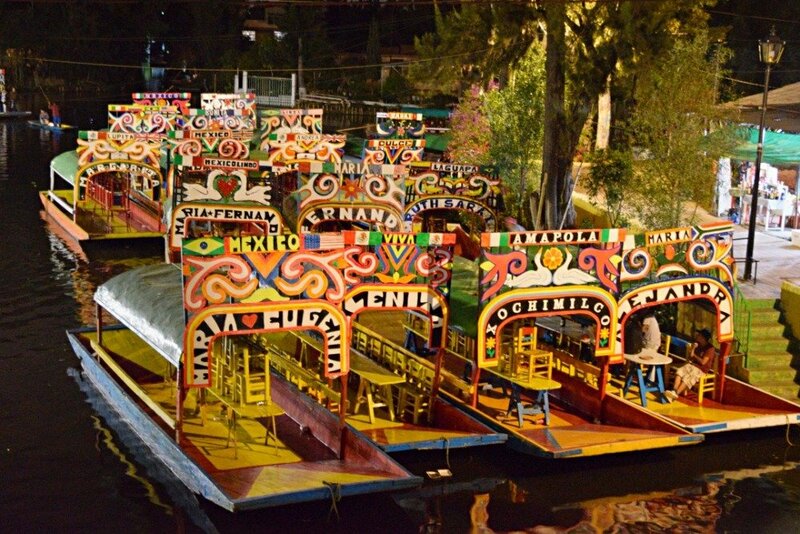 The best party in Mexico City happens at Xochimilco every Saturday and Sunday afternoon. Bring a cooler of drinks and plenty of snacks and grab yourself a boat to explore this massive network of canals. You can go it alone or book a tour, but either way, I recommend spending some time in this part of the city. I wrote a full guide to enjoying Xochimilco here. There’s a free walking tour each day through Estacion Mexico Free Tours. All you have to do is book through this link and show up in the Zocalo just before the tour starts. Be sure to indicate what language you want to go on the tour in. It’s a really fun way to learn more about the city and its history. The guides are all volunteers and they always ask for a small tip at the end. This museum is in a beautiful old colonial building in Coyoacan. It’s the museum of sound and it aims to preserve historical sounds from the countries past. This includes old films, languages, and music. It’s a pretty cool place worth checking out if you’re in Coyoacan. I LOVE this colorful museum in Coyoacan. It has constantly changing exhibits from artists all over the country. When I was there last they had an exhibit from Oaxacan (pronounced Wa-ha-can) artists that was so incredibly beautiful. There are permanent installations, colorful buildings and really cool sculptures all over the outside courtyard. I have yet to do this myself, but I would love to hike up this volcano. You can do a tour from the city center. It takes about three hours to get to the base of the volcano. From there you hike up with a guide, learning about the native people and about the significance of the volcano to their culture. Most major cities have these easy to rent bicycles nowadays. Mexico City has them on almost every corner and they’re called ECOBICI. You have to register at one of the two main offices, but once you do you can use the bikes for so cheap. If you want a 7-day pass that will set you back about $5. If you’re staying for longer you can get the year-long pass that costs $20. Once you’re registered you can simply go to any of the stands, enter your code and head off on a cycle. It’s a nice way to explore the city, especially on a Sunday when they close the main road. Somehow Luke and I always end up at Alameda Park. It’s near all my favorite street food and it’s a really nice place to relax. 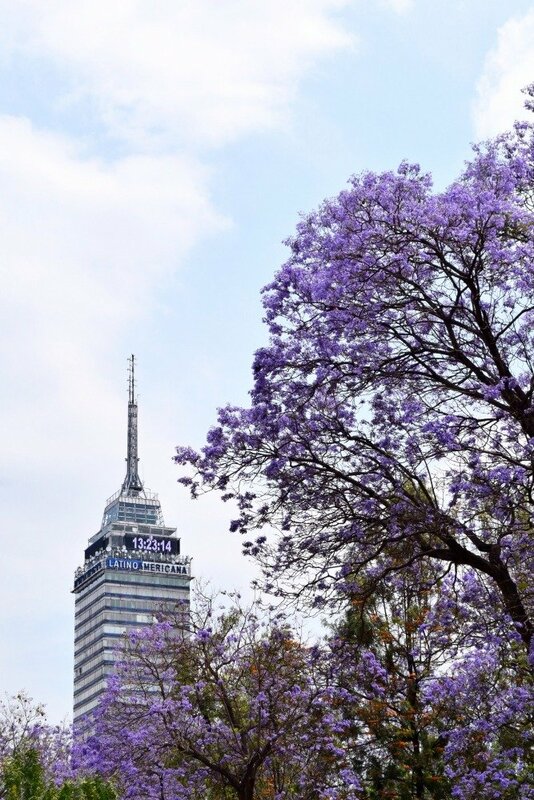 If you go to Mexico City in Spring it’s a great place to see all of the Jacarandas in bloom. It’s also Mexico City’s oldest public park. Mary of Guadalupe is a sacred woman to the people of Mexico. 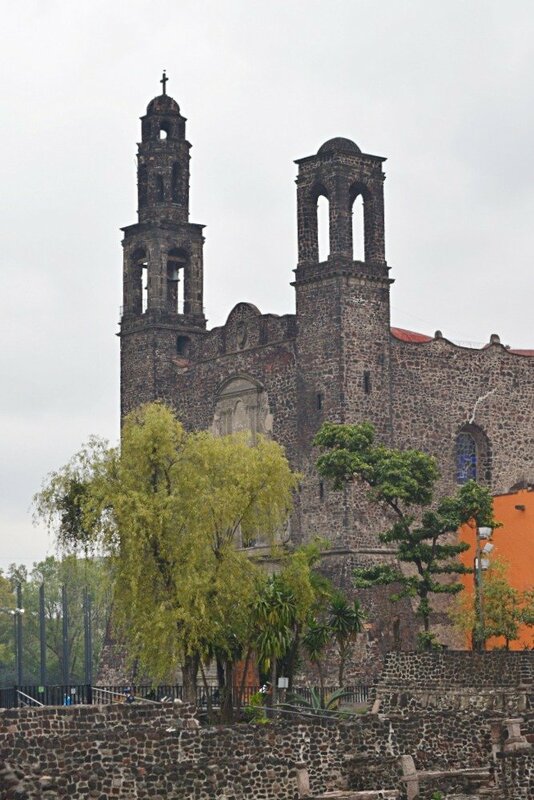 Her church and the piece of clothing that her image was imprinted on centuries ago can be found just north of Mexico City at the Basilica. Each year on December 12th (her saint’s day), people come in droves to the basilica. 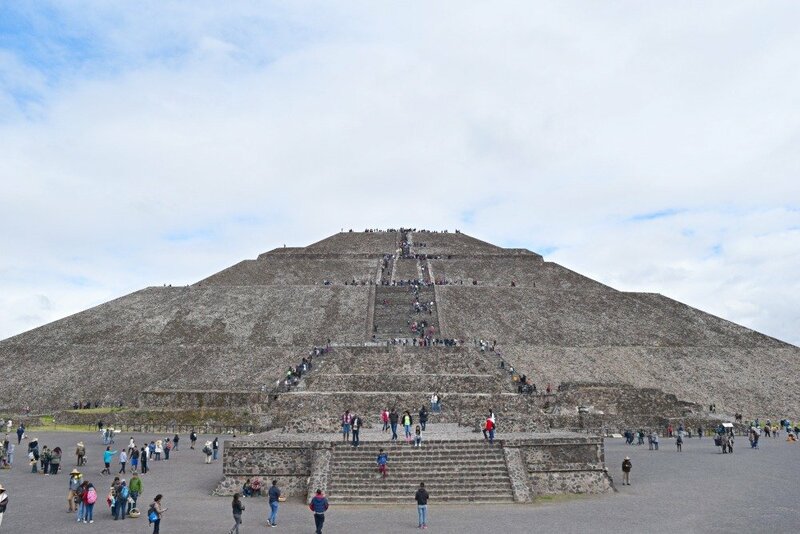 If you do a tour of Teotihuacan, a stop here will be part of your tour. This old post office is awesome. The outside of the building is stunning. The inside is all marble staircases and gold molding. It’s one of the few places in the city where you can actually send mail (other than through private courier services). Located in the same area as the Xochimilco canals, adding this museum to your trip is definitely worthwhile if you’re interested in pre-hispanic art. Much of this collection used to belong to Diego Rivera and when we died he left almost everything he owned in the care of Dolores Olmedo. 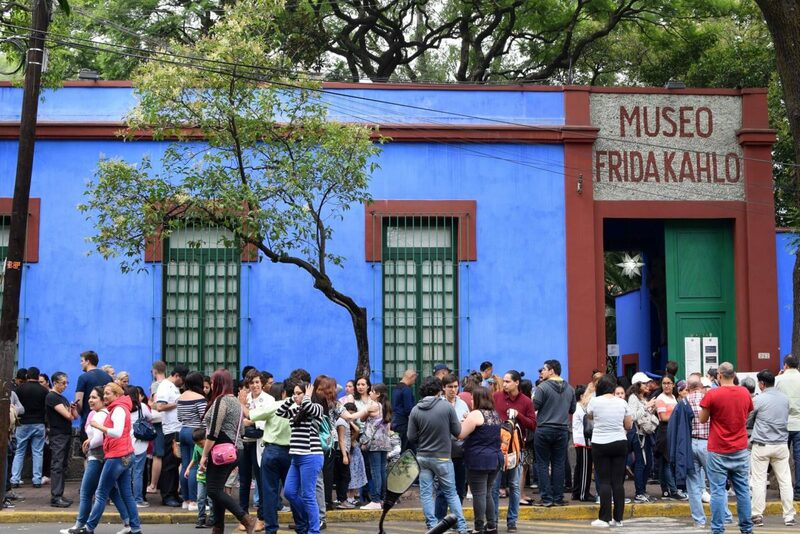 It has the largest collection of Frida Kahlo’s paintings anywhere in the city. This pedestrian only street will lead you from Bellas Artes to the Zocalo (the main square in the city). It’s line with tons of different shops, beautifully tucked away churches and amazing blue tiled buildings. Definitely, take a stroll and be sure to stop whenever you see something that looks interesting. 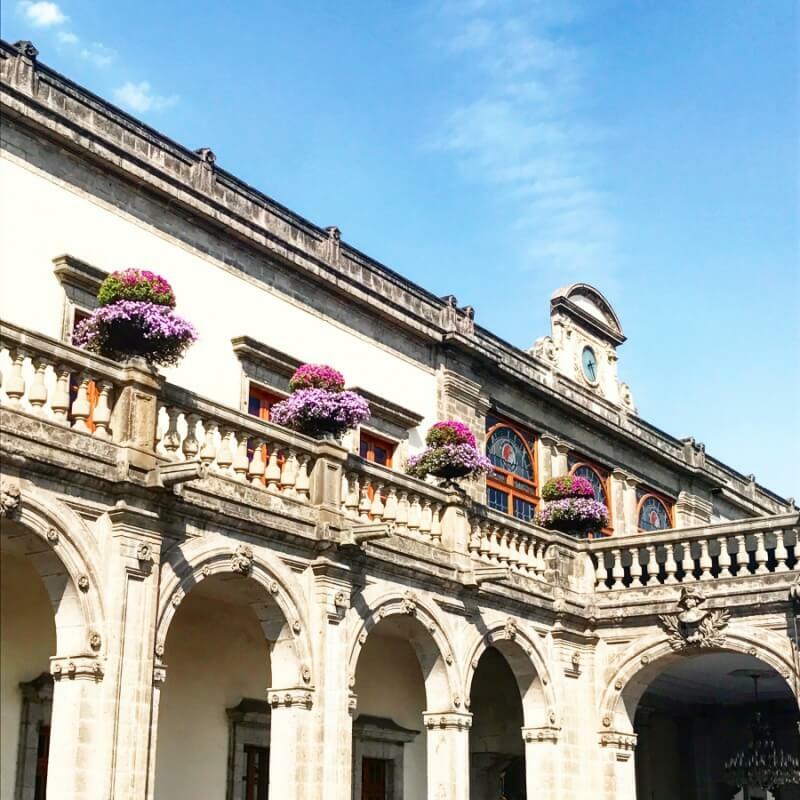 This museum was designed by Diego Rivera and houses what was, during his lifetime, his private collection of pre-Hispanic art. Just outside of the main town of Coyoacan (take an Uber), this museum is such a beautiful structure. 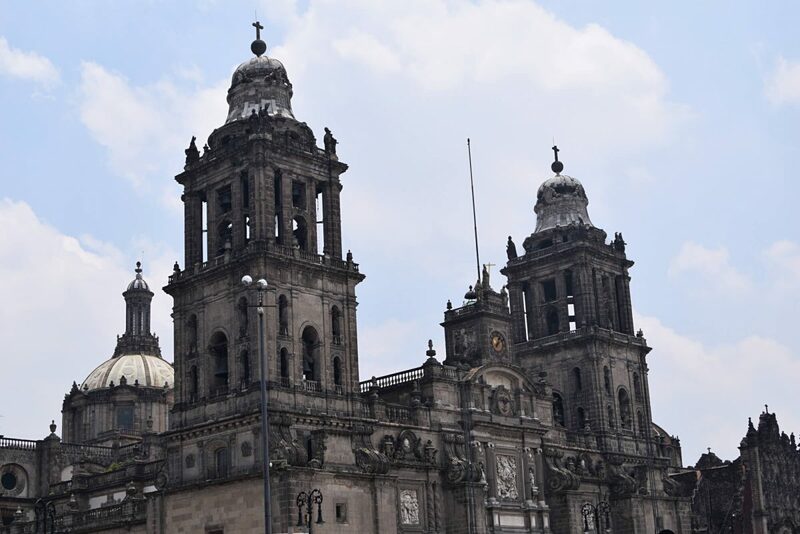 It’s made with a lot of volcanic stone, similar to what the Aztecs used on their structures. Unfortunately, Rivera died before the museum was completed, but his daughter oversaw the completion and helped to turn it into the vision he had. It’s now home to the largest collection of pre-Hispanic art in the world. I love a good library and this is definitely one of them. 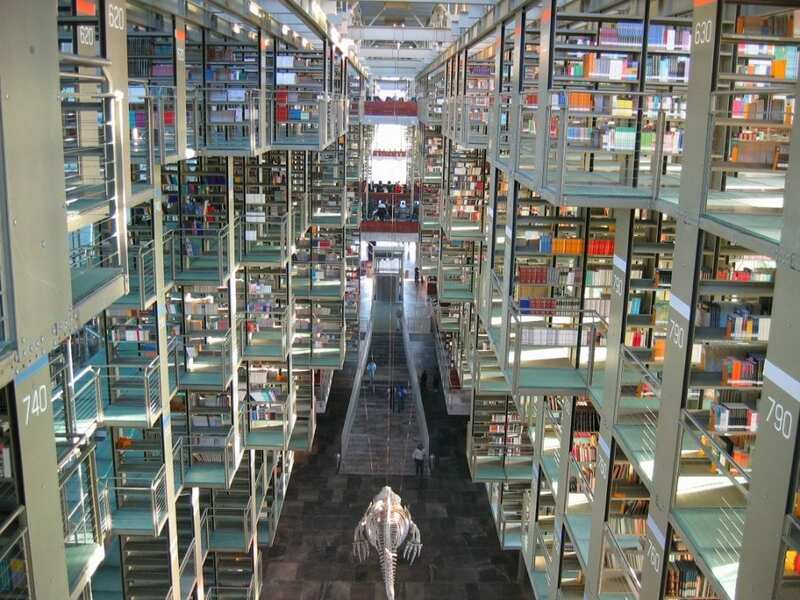 Designed to house not only books as a public library, but first edition collections from several literary collectors in Mexico City. It’s like a city for books. Located right near a metro station and completely free for browsing. If you’re a book lover you definitely need to get yourself here. Interested in seeing antique Mexican toys? I’m always fascinated by popular culture in other countries and this museum definitely gives a peek into Mexican popular culture from the past few decades. There are also some really cool models if that’s your thing. UNAM is the national university of Mexico and the campus just south of the city center is well worth a visit. There are beautiful murals all over the campus by famous Mexican artists. It’s like its own city with restaurants and cafes and plenty of green space to sit back and enjoy a bit of sunshine. Azteca Stadium is the national soccer stadium of Mexico. It’s where the World Cup final was in 1986. It’s also where a few of the Mexico City soccer teams that play in the Mexico league, la liga play their home games. I’m not a massive soccer fan, but Luke is and he was SO excited to go to this stadium. If soccer is your thing and you want to go to the national stadium, you can book tickets on Ticketmaster. This is one of the first places I heard about when I started doing research on things to do in Mexico City. It’s home to the mariachi scene in the city and there are tons of bars around the plaza to enjoy a few tequilas and mezcals. Seeing the Lucha Libre is a hugely popular thing to do in Mexico City as a tourist. I still haven’t had a chance to get to a show, but I think with a group of friends it would be really fun! You can either book tickets on Ticketmaster for the Arena Mexico or you can go with a tour. This is a perfect day trip from Mexico City. You’ll have to rent a car, but it’s worth it to get out of the hustle and bustle of the city and into the mountains. The biggest draw for me is the amazing food. They have fresh river trout and really beautifully cooked rabbit. All of the meals we ate included handmade tortillas that I STILL dream about. This is a contemporary art museum that has really beautiful sculptures both inside and outside. It’s not a big museum and can easily be tacked onto a day exploring the Museum of Anthropology since they’re right next to each other. This museum is incredible. It’s dedicated to two topics: Memory and Tolerance. The Memory part tells the stories of the Holocaust and the stories of genocides in Rwanda, Bosnia, Armenia and others. The second section on Tolerance shows you more current issues and encourages tolerance to all people around the world. The square around the museum is a really nice place to sit and relax for a while, too. This museum is home to one of Diego Rivera’s murals that was almost destroyed in the 1985 earthquake. It’s only a small place, but the mural is really beautiful and if you’re interested in Diego Rivera’s work this is a must. 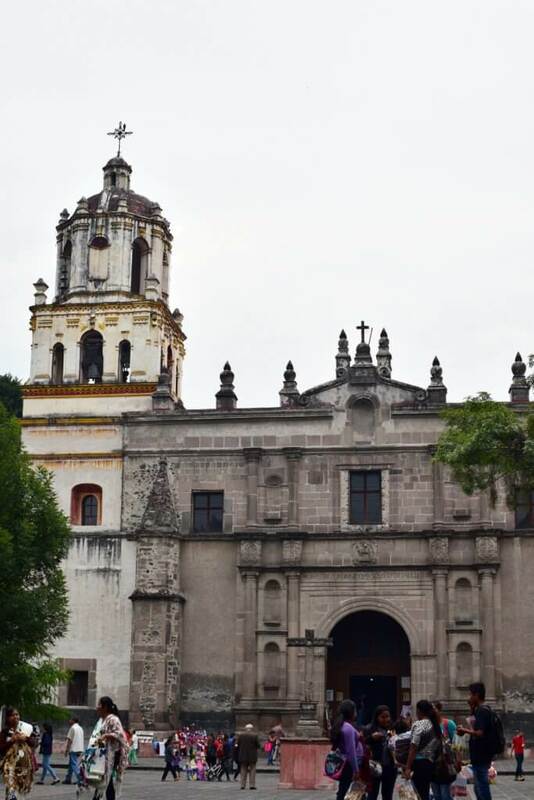 This plaza is where you’ll find an old Aztec market and a church that was built using its ruins. It’s named the plaza of three cultures to recognize the three cultures that have used this space: pre-Colombian, Spanish colonists, and current day Mexicans. I love the square that this museum is in. If you look closely at the two churches in the square you’ll be able to see that they are completely crooked after the earthquakes that have shaken the city. The museum is a personal collection of Franz Mayer, a Mexican stockbroker. You’ll find everything from fine art, to books, furniture, ceramics, hand done textiles, and tons of other random of decorative pieces. Another beautiful architectural wonder of the city. 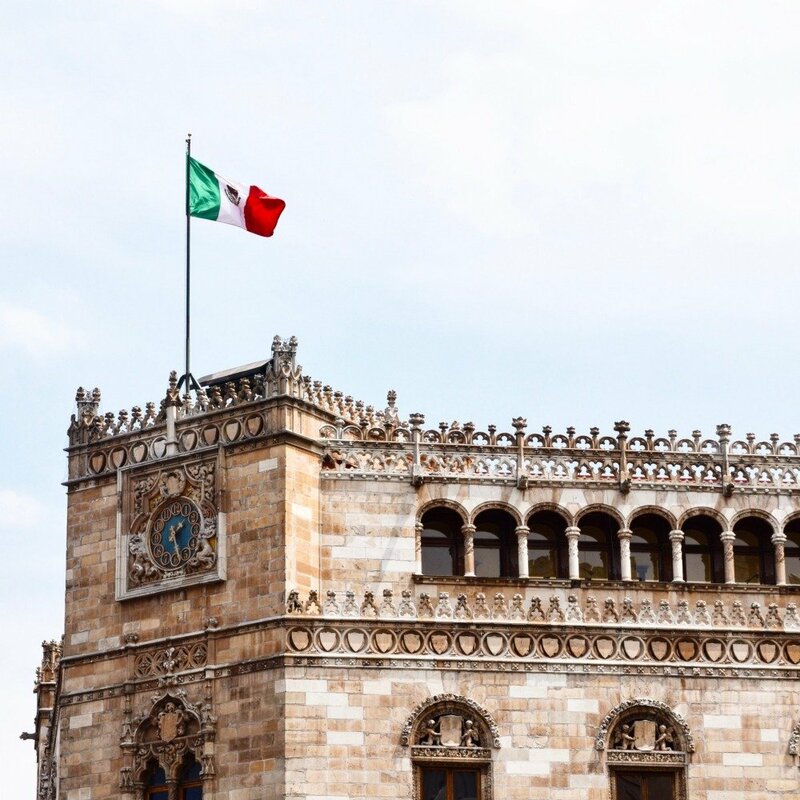 The National Art Museum is in the Historic Center and has tons of Mexican art from as early as the 14th century. 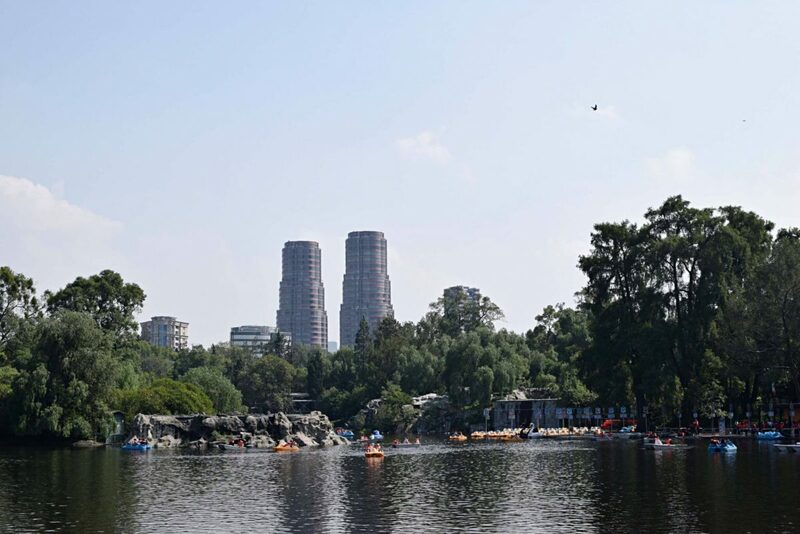 The Chapultepec Zoo is in Chapultepec Park and is completely free to enter. There are tons of different kinds of animals including pandas. There are three giant pandas that are so freaking beautiful (if they come out from their naps). Just note the zoo is closed on Mondays. I only recently visited this park for the first time and it’s already one of my favorite parks in the city. There is plenty of greenspace, a few greenhouses, loads of paths for jogging and cycling, a little lake to sit around, basketball courts and even a few sand volleyball courts. There are a few food trucks if you get hungry. It’s such a cool place to spend a sunny day. This is my favorite art gallery in the city. The space is so amazing. The art is constantly changing and it’s totally free to walk around and enjoy the art. The outdoor space is so relaxing and for a moment you forget you’re in the middle of one of the biggest cities in the world. An old Jesuit college turned art college turned museum. The college was known as the premier place for muralists to learn their trade and there is plenty of Diego Rivera pieces here as well as tons of other Mexican murals. If you come to Mexico you have to try all of the Mexican libations. 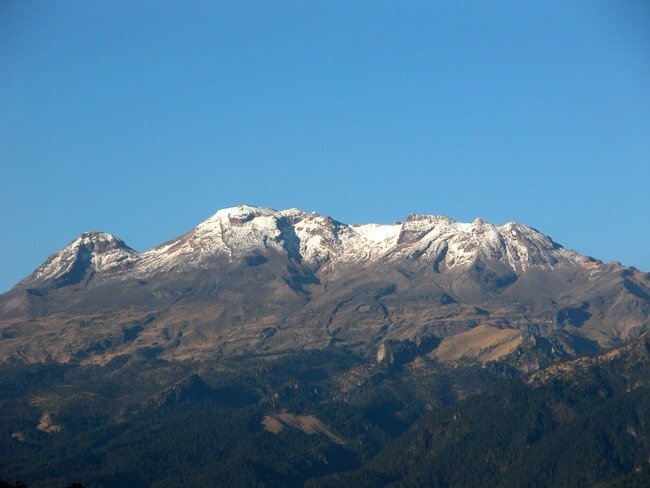 From mezcal and tequila to pulque and pozol. Test out some of these bars and a few of these bars, too. Like any major city, Mexico City constantly has pop-up events, concerts, and random cool things going on that you only hear about at the last minute. These are the websites I use most to find out what’s new and happening in the city. 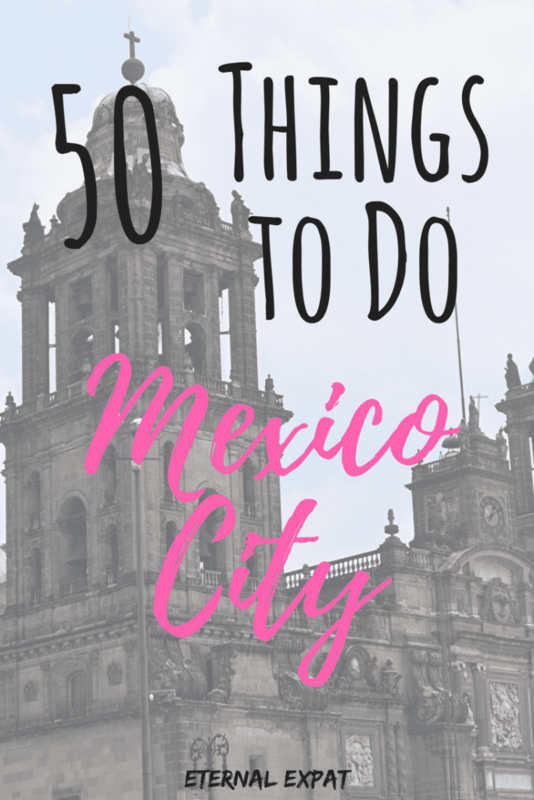 I have TONS of other content about Mexico City – be sure to check out the Mexico City section of the blog for more things to do, see, eat and stay on your next trip to the city! Oh wow, I had no idea Mexico City was like this. Sadly I was too scared to go to Mexico on my travels in Central last year. Seems like I have really missed out. Great job. 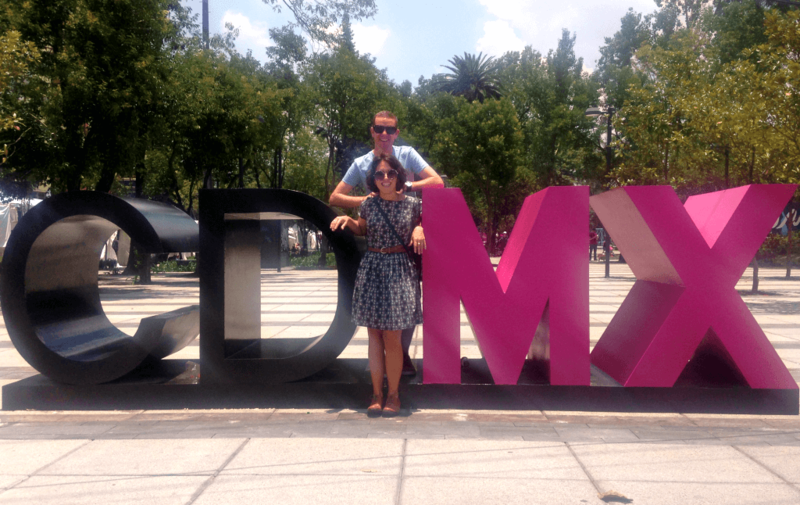 Eager to rediscover Mexico City.